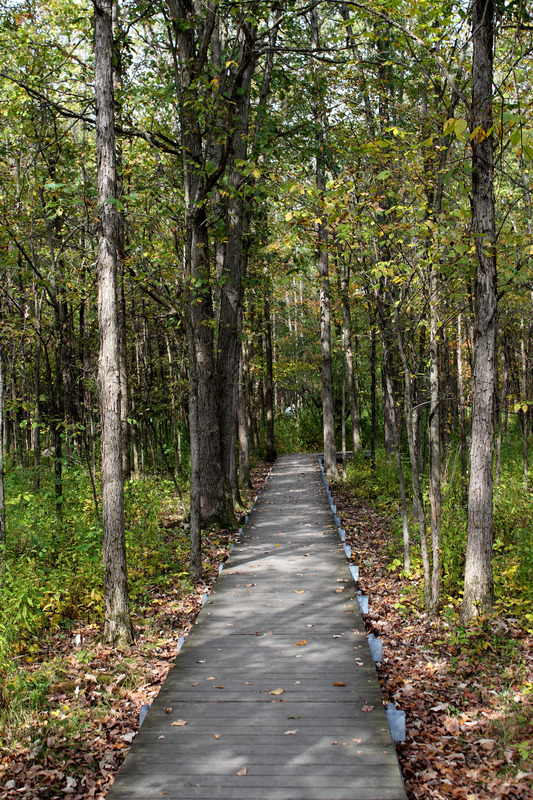 The fourth park of the Fall Hiking Spree is Liberty Park in Twinsburg. I can count on one hand how many times I’ve been to Twinsburg in my life. No, actually, I can count on two fingers. Other than their Twins Festival, I have no idea what goes on there. Apparently, they have a pretty great metro park! Who knew?! 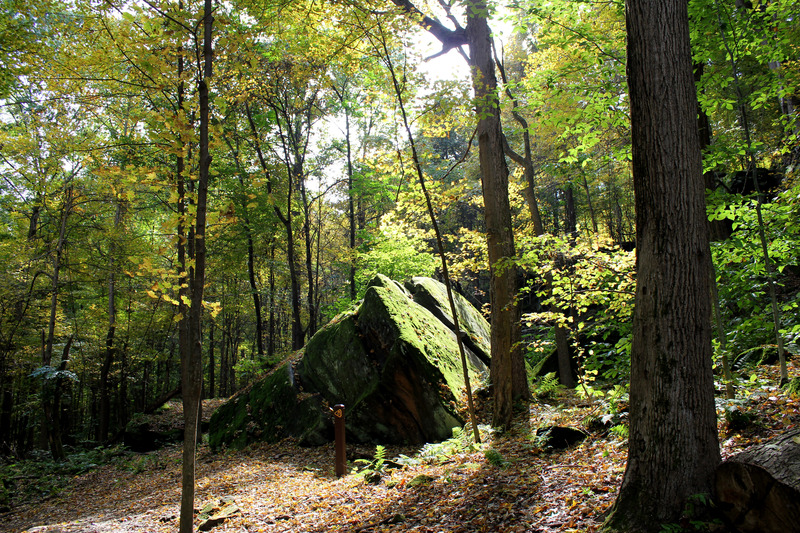 Liberty Park has such a fascinating ledges trail that takes hikers through the park to a cave, across wetlands, and through the woods again. 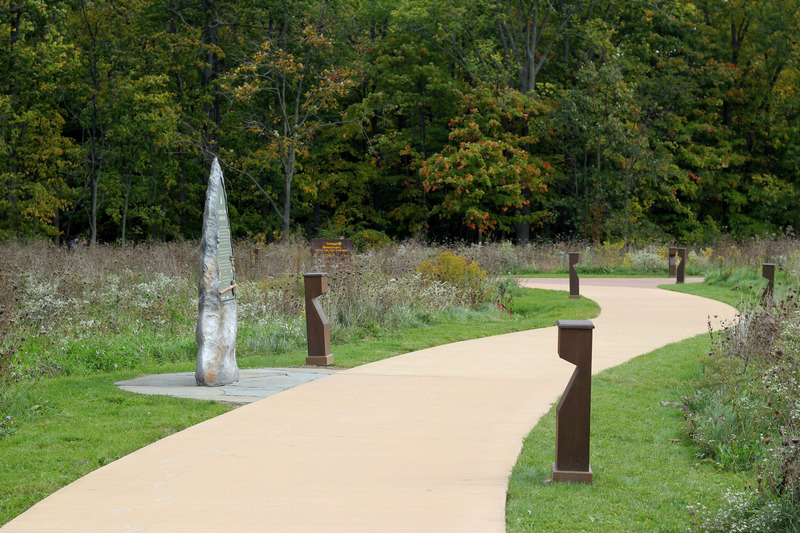 It is one of the few parks that also has a more formal nature center with a look-out. This trail is fairly easy. It’s labeled as “C” Basic and “2” Moderate. There’s a small area at the beginning and end that kicks up the heart rate, but overall it’s a piece of cake. The cave is probably one of my favorite features, it’s an entirely different temperature within it and acts as a snippet of history. The “living skin” (plants and moss) that coats a lot of the area is also fascinating. The thought of the world as an ecosystem that feeds off of itself is really driven home for me while out here. It makes me want to learn more (when I have some free time) about how things fit together. In many ways it makes me think of code (I know, nerdy). But each function, tag, etc. has its place and they all fit together to build a working program. There’s not much to add about this hike except that it is pretty beautiful. Enjoy the rest of the photos below.